We’re doing something we’ve never done before! 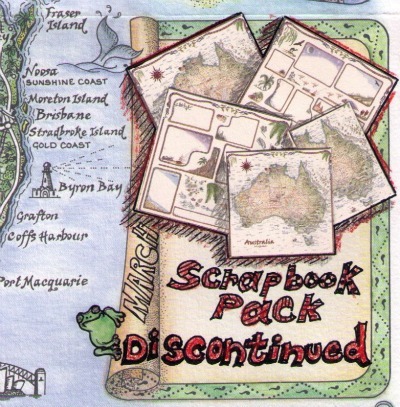 Having introduced the Scrapbook Pack in 2006 (by public demand), we’ve had 5 happy years of supplying those with a bent for cutting, cropping and pasting to really make the most of their photo albums and memories. But as they say, all good things have to come to an end. 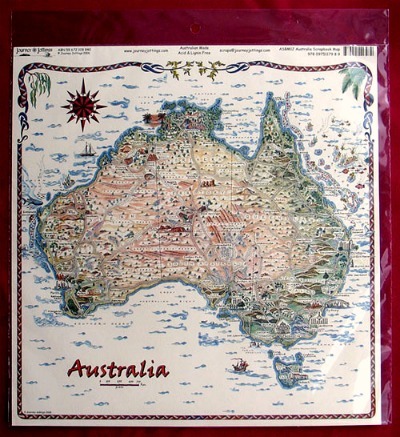 we’re still doing the 12″ square Australia Map. The purpose of this post is to illustrate a *highlight* (or maybe in this case a lowlight) from the previous four weeks. As you’ll have seen from the opening illustration, this is entered in one of the boxes on a Map Journal so at year’s end… we can see our year at a glance. What was your highlight for March? Very nice product, but I get what you mean about the market. If we don’t listen to the market, we die. Perhaps the idea could be repackaged, after all it was successful because it filled a need. I don’t believe the need has evaporated, just found it’s need met, probably on the internet. 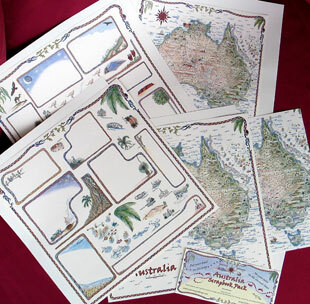 I’m currently in the throws of designing a new line that will offer the unique part of the Scrapbook Pack (the jotting/journalling boxes) but am presenting it in a more universally appealing format.